Have you ever heard that a military dog attacked his master? Did you notice that any dog in the police ever barks on or bites any staff? Surely not, because such animals were trained enough. The dog is a trustworthy mammal on earth if it is being taught well. In the old age, the dog was particularly kept for the security of land and other animals only. But nowadays, there are a lot more reasons other than this. One of them is their own safety, especially for those who go for a walk at night or living in critical areas. Keep in mind that not all types of dogs are capable of handling protection assistance. Doberman, a Belgian Malinois, Rottweiler, and German shepherd are some of the protective breeds that are suitable for this. How to Train a Dog? There are several things to ensure while teaching a dog. Keep in mind that nothing is impossible yet not too easy. Even professional trainers also struggle hard to teach a puppy how to react and what to do in strange situations. It takes several days and numerous hours. Furthermore, distinct citizens require a different type of actions from it. Some people want only barking dogs. Some others need a puppy to bite. There are three basic pieces of training every master should conduct and wish to see from his/her dog. Professional facilitators usually use the most common strategies named as “Schutzhund”, “French Ring”, and “Mondio”. They are different in procedures but have a common aim, i.e., to cover-up above three fundamental habits. To train a dog for personal protection, it is essential to establish temperaments in a puppy. Following up of all of the basic instructions are counted as obeying the master. Sitting, standing, walking, running, stopping, and other activities must perform upon the command of the handler. This is the first and mandatory step to achieve. If the animal does not accept your order, you could not train it further. It is also necessary to make the dog a socialized member of your family. Obviously, friends, visitors, and relatives come to meet you. If the puppy is not habitual of being friendly, it will bark or bite them. Therefore, the best practice is to take your pet on a walk daily. When the master will meet someone and stop it on shouting someone, it will learn not to bark on everyone. Thus, cooperative behavior will be developed. Either the dog causes barking is depressed, boredom or noticing something strange. Expert trainers suggest taking it on a walk or provide too many exercises. Such activities make your puppy tired. As a result, it will feed and then sleep. After a time, the nature of the dog will change and it will not bark in ordinary situations. By default, small puppies jump over people to greet them or reacting on excitement. But when they grown-up, this habit become the characteristic. It is crucial to train it not to jump over everyone. Here is a smart way to change this tradition of jumping. Whenever it bounces to you, stop her and give instructions of going back, sitting, and feeding. It will upset in the beginning, but later on, this act will be normal for both of you. To teach the defense, here is an exciting exercise. Take your dog and run around the house or the property you want your puppy to guard. When you notice that it will run before you then go to the next step. Let it run alone and you are just watching and giving time. After a month, assign someone (unknown for your pet) to come in your property and create noise. By nature, the puppy will trace the voice. When that guy sees your dog pretend that he frightened from it and ran away. Continuously repeat each step for a month at least to train your dog when and how to react. Stella Lincoln is an energetic young woman and a mother of a sweet girl. She also trained her own pet for basic protection. By profession, she is animal behavior researcher at AcademistHelp. She part-time assists students on AustralianMaster platform as a guide trainer. Stella’s dog takes care of her sweet girl in her absence for short duration. This entry is filed under Training Tips. There are many dogs that think that the grass is greener in someone else’s garden. They will break free in an attempt to meet other dogs, chase wildlife or just find some entertainment. This is a massive problem for dog owners that want to make sure their pet is safe at all times. So, what can we do to stop them escaping? Many pet owners will have some form of clear, strong boundary around the property. A fence or thick hedge is usually enough to keep animals in place. But, there are still some dogs that will test the limits of the perimeter in an attempt to escape. Some will try and dig their way out. This is where it helps to set the fence into the ground. Burying the panels means there is no inviting gap to claw and dig away at. Rocks and thorny bushes can also help. Other dogs will try and jump to scramble over the top. The height, texture and angle of the fence could make things much more difficult. Adapt the fence so that it is too difficult to break free. Don’t do anything that makes the fence dangerous or poses a risk of injury. Not all properties have a fence or physical boundary around them. It might not be practical to try and erect one if your dog is a tenacious digger or keen jumper. There may also be building restrictions or neighbours that stop you from setting a fence up. This is where it can help to set up an invisible dog fence in the garden. These fences use static, vibration or noise stimuli to warn dogs away from the boundary. A signal transmits to a training collar and offers reliable correction. Many dog owners like to use electric underground dog fences. This is labour intensive, as it involves laying wire under the perimeter. But, it can be effective with the right settings and training. Different models have different ranges, settings and additional features. Compare the best underground dog fences for the right product for you. Whatever type of boundary you choose, you need to put in the time and effort to train the animal. With fenced-in gardens this means plenty of behavioural training to teach dogs not to dog or jump at the boundary. Corrective measures are helpful, but must include some positive reinforcement. Work with the animal in a slow, patient manner – especially when using training collars for dog fences. Finally, it also helps if the dog has little interest in leaving in the first place. Owners that work on the desires of their animal can see a big improvement. Dogs that are spayed or neutered have a reduced desire to seek out other dogs. Dogs that are entertained in the garden are less likely to chase smells and noises from neighbouring properties. Learning how to keep your dog from escaping isn’t just about the physical boundary of the home. Improve the fencing, but also work on behavioural and training issues too. As a dog owner, you can tell how frustrating it can be to walk your dog when it is pulling on the leash. 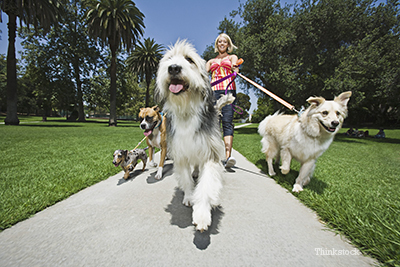 Most dog owners think that dogs just know how to walk politely on a leash. However, this is a skill that needs to be trained. In fact, it is one easy skill you can teach your puppy. You will be able to do away with leash pulling during walks when you train your dog to walk on a loose leash. 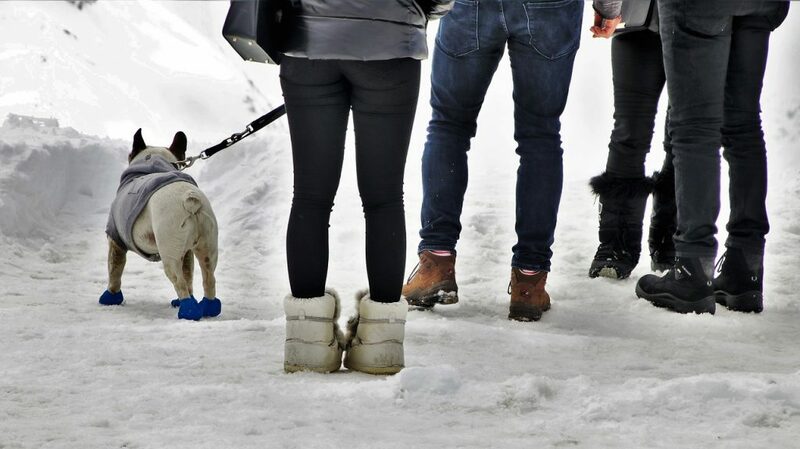 Even a perfect heel will never help keep your dog strictly by your side. Instead, it will give your dog room to explore the neighborhood and sniff around provided he leaves slack in his leash. Below are guidelines to help you train a dog heel or walk nicely on a leash. You can start by letting your dog get used to putting on a harness or a collar and a leash. You can have the dog wear a collar or a harness for shorter periods especially when in-house taking treats or when you are playing with him. It is important that the puppy gets used to wearing a collar and leash since they represent fun and food. For instance, you will need an approximately 6-foot leash and a collar. In case your dog has a habit of pulling, he will at times slip out of the collar. In such a case, it would be advisable you use a martingale collar which is ideal for training puppies to walk on a loose leash. Martingale collar resembles a normal flat collar but instead, it has an extra loop that tightens whenever it is pulled by a dog. This will ensure the dog does not slip out of the collar. However, this collar contains a stopping point that ensures it does not close tight as it is with choke chains. It is recommended that you choose a phrase or a word that will help tell a dog what is expected of him. You can decide to use commands such as “Let it go” or “with me”. You need to introduce your puppy to a sound cue meaning food is coming. There are individuals who like clicking and treating while some opt to use words such as “yes” while others cluck their tongues. It does not matter which cue you use provided it helps you achieve what you want. Get your dog to a quiet and distraction-free area, while the puppy is on leash and collar, make cue sound. Immediately the puppy turns towards you, reward him with a treat. Repeat the process a number of times and you will notice the puppy will not only be looking at you whenever you make the sound but will also come for the treat. While the puppy is coming to you while still on leash and collar, you can back up a few steps and reward him immediately he gets to you. Continue with the exercise until when the puppy starts walking with you a few paces. However, you need to remember that puppies have short attention spans; hence, you need to keep your sessions short and end when they are still eager to instead of stopping when they are completely exhausted. By now, your puppy should be understanding how and when to come to you. Seeing and feeling the leash around will be enough challenge. When the puppy approaches you, offer him with treats and praise until he gets used to that. It is important that you practice inside a room where there are no distractions. After your puppy has got used to coming to you into a room where there are no distractions, it is now advisable that you start testing him outdoors or use wireless dog fences to restrict his movement. You can research best wireless fence by reading through a number of wireless dog review. You will however encounter several challenges on the outside due to sights your puppy will encounter, smells and sounds. Ensure the first walks are kept short and never be in a hurry to get the dog going. While on a walk, always make your cue sound and move a few paces away whenever your puppy gets distracted or is about to lunge towards something. Remember to reward his following you with a treat. Immediately you step out of your house with your dog you will encounter lots of competition. You will, therefore, have to make staying close to you more rewarding and fun rather than running off just to explore all the neighborhoods smells and sights. You can achieve this by using praise, treats and a happy tone voice. For the start, whenever your dog turns and looks at you always tell him good and offer some treats. This is the best time when you can also decide to use a clicker in case you have tried using clicker training. Whenever the dog’s attention turns to you, always click and reward him with treats. With this, you will be teaching your puppy that paying attention comes with great rewards. You can also keep the dog’s attention on you by speaking in happy and high tone. However, in the beginning, you will have to use lots of treats in order to get your dog’s attention. Always keep your hands by your side and offer the dog treats continuously provided he is walking next to you. You can slowly start phasing out the treats as he gets to understand and know what you expect from him. Getting your dogs attention can be difficult at times. There are times when he might find what is going on around being much more interesting than your happy talk and treats. In such situations, stopping and starting will never be enough to distract him from whatever he is doing or intends to do. When you are faced with such a situation, the best thing to do is move him away from distraction. You can achieve this by walking in a completely different direction saying let’s move or let’s go. You don’t have to pull your puppy, just walk away holding the leash. You can thereafter offer him treats and lots of praises. However, you need to keep in mind that this process will take time and high chances are you will not have your puppy walking on a loose leash at first. Always be positive and consistent and your dog will learn to walk on the leash properly. In case your puppy starts pulling in the other direction, pretending to be a tree and stand still refusing to move until when the puppy will come back to you. Never jerk or yank the leak and never drag your dog with you. There are alternative harnesses such as head halters and front hook harnesses that are designed for dogs that pull. When your puppy opts to go for something while on a walk such as a car, another dog, or a skateboarder, you can try redirecting his attention by giving him a treat before he lunges or creates a space between his target and you. Always be proactive and prepared for what’s frustrating him gets close. There are puppies fond of barking at other dogs whenever they are on a walk. In most cases, such behaviors are as a result of lack of exercise. It is important that you ensure your puppy gets enough amount of physical and mental stimulation for his breed. You can also opt to use the best dog barking deterrent. In case you are experiencing problems with that, you can apply the same tactic you applied when your dog is lunging at a moving car. Always create distance and offer treats before the dog starts barking. Training a puppy on how to heel is considered to be among the most important tasks for any person owning a dog. However, the process usually turns out to be not that hard as many people preserve it to be once they get started. Always keep in mind that your puppy will learn faster if the training technique is right and for the start, you can always use high value rewards to start you off. Master each stage in training before moving on to the next and give yourself and your dog some great rewards for making progress! There are people who want to rush their puppies through the trainings and give us when they discover they are not making any progress. In case you are not sure or do not note some progress, you can always consult a professional god trainer to help you iron out areas where you are not getting it right. It is very common that dogs depict negative behavioural issues. These are mostly prevalent due to lack of communication. It is very surprising that humans and animals, being completely different from each other can reside in perfect harmony with each other. Since dogs are a regular part of a family now, they need to behave in a certain way. The aggression in dogs is extremely common. It can be attributed to a lot of reasons. The most common factors include illness, fear, possessiveness, frustration. It is very essential for every dog owner to determine the factor of aggressiveness. However, there are a couple of strategies can be implied to regulate the aggression of your dog. In order to treat aggression of your pet, firstly it is important to determine the cause of it. Secondly, you should try to avoid the circumstances that cause aggression. Lastly, you should reward him every time he behaves appropriately. 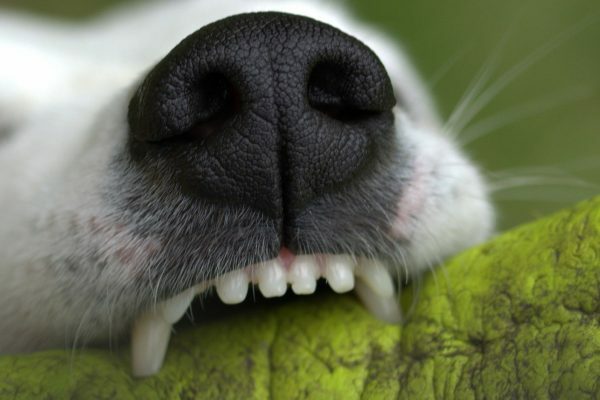 Dogs interact with the world with their mouth just like what humans do with their hands. Moreover, the mouth is their tool to analyze the world. Many reasons can be attributed to dog biting behavior. These are inclusive of anger, anxiety, fear, and self-defense. The reason can be interchangeable and confusing, but the outcome is same- Bite. Irrespective of the reason your dog tends to bite for, there is wide range of steps that can be taken for it. Foremost, spaying and neutering your dog can help minimize the probability of biting behavior. It is important to exercise and play with your dog daily as it will mellow their energy down. Otherwise, the energy might be directed towards aggression and biting. CAUTION: Don’t allow your dog to roam unleashed when they are the threat to people or other animals. If your puppy loves running off to you or jumps at you, it’s not the sign of affection. This behavior involves barking and jumping off at door bell. It is very uncomfortable and outright frightening. However, some owners prefer to be greeted enthusiastically by their pet, but it can be inappropriate for some guests especially the ones who are frightened of dog. This behavior can be curbed by appropriate training. You need to show cold behavior once they jump at you. Turn around when it jumps at you and don’t make any eye contact with them. Treat them when they are good and sober back at their place. It is an intrinsic behavior of dog to mark their territory. There are the variety of reasons that can be attributed to this behavior. This most prevalent is in the case of stress. With appropriate training, a dog can be trained to mark their territory appropriately. They can be trained to mark their territory only in the case of food. To overcome territory marking, neutering and spaying your dog can be helpful. Moreover, making your dog familiar with an unfamiliar face can reduce the unwanted behavior to a maximum extent. Dogs love rules. If you want to control this behavior, you should establish yourself as the leader and command. Dogs are intrinsically designed to pull off their leashes; it is a modulation of their historical utilization in being puller of packs. Nonetheless, the pattern of historical utilization is still so evident in some breeds that they strain their leashes extremely hard that it tends to suffocate them. Leash prevention can be treated for a lot of reasons. Firstly, one needs to adjust their attitude. Rather than teaching your dog not to leash pull, you should teach them to walk gracefully beside you. Secondly, you can play follow me the game with your dog. Lastly, rewarding your dogs with treats have a significant impact on the leash training your dog. It is in dog’s nature to run after something that is moving swiftly and it might look stupid to you, but it makes perfect sense to them. The visibility of something moving pass swiftly past it can boost them to chase it. This habit can be extremely dangerous; it can confuse the driver as well as put the dog at risk too. The most important step in this regard is to ensure to keep your pup on a six feet leash. Practice by making a friend drive by on a bike slowly. Gradually increase the speed of the vehicle and continue to practice until the dog stops chasing. Finally, reward him with a treat with positive reinforcement. Just like newborns, dogs are also prone to chewing as teething can be painful. Nonetheless, the grownup dogs also tend to chew things when they are bored or anxious. In some instances, chewing can be helpful to keep the teeth clean. However, there is a difference between desired chewing and unwanted chewing. Destructive chewing can be eliminated by following a couple of steps. Firstly, you should unleash the additional energy of your dog. You should take them to exercise to let their energy mellow down. Moreover, in case of puppies, they should be provided with chew toys. It is inherited that dogs guard their food. It is very common for your dog to growl when you pass by him while he is eating. This behavior can be very harmful in case you want to get something out of his mouth in case something toxic is consumed. The foremost thing is to never feed your dog when before or while you are eating. Intrinsically, when dogs go on a hunt the alpha dog eats first, same should happen in a human-dog pack. You should eat first and feed your dog afterward. To limit the food guarding you should never step back from the bowl. This is actually what your dog wants. By stepping back, you are reinforcing the unwanted behavior- food guarding and growling. Wendy Shore is a parent of two amazing dogs. She is very enthusiastic about pet health and welfare in general. She regularly blogs at totally goldens. Cocker Spaniels are amazing learners and possess excellent obedience intelligence. For initial lessons, maintain a familiar environment and privacy for the cocker spaniel to focus on you. Usually, dogs have a short-term attention span, so it’s imperative that you keep the chances of distractions almost zero. Training based on positive reinforcement techniques makes the trick-learning process quick. Keep in mind to consistently follow the reward and punishment method. It involves giving a treat when the dog performs the trick right and holding it back when he fails to do it perfectly. It will help your fido associate the peak performance with treats. This method is effective for the puppy’s crate training as well. Besides the methodology, give clear and short instructions like ‘spin’, ‘roll’, ‘jump’, etc. Clickers can also be added to reinforce the perfect response. For teaching the shake hand trick, give verbal command ‘shake’ and then lift up your dog’s paw. Whenever you give the command, remember to pick up the same paw for quick learning. After picking up the paw, praise the dog. He will gradually learn to associate the paw-lift with praise and will volunteer himself. When he does the trick by himself, add a treat to the praise to encourage the response. With time, you can shift between paws, teach him the high five with both hands. This trick will help you in the long run because most owners want their dog to ‘stay’ at a point when needed. For this, you have to command your pooch to ‘stay’ as you move away. Keep moving away slowly, and command the dog to ‘stay’ every five seconds. Keep your hand in an extended position. When you have moved about 10 feet away, put your hand down and command ‘Come.’ When he will master the trick and perform the trick perfectly, reward him with a treat. If your dog is not used to holding bigger objects like balls easily, you can start the trick with treats. Throw a treat towards your Cocker Spaniel, and ask him to catch it. It will take few tries, but he will master the trick soon enough by following your hand’s directions. The trick will help the dog learn to balance perfectly when he jumps up on you in excitement. It’s quite easy to teach if your dog always jumps up when you return. Whenever he jumps up next time, hold his front paws and make him balance on his hind legs. Praise him and give treats before lowering down the paws. Gradually, make him move his paws while standing to add more fun and cuteness. Small or medium weighed Cocker Spaniels can easily balance on hind legs. To make the Cocker Spaniel learn to bow, a simple trick is to hold a treat and make him follow it to the floor with your hand movements. When he lowers his head, command him ‘bow’ to make mental associations. Stay consistent unless he learns the trick. Command your Cocker Spaniel to sit and lie down. Hold a treat near the pet’s chin, roll it over to the dog’s head and let him follow your hand. Say the word ‘roll over’ when the treat is near the head. It will make the dog turn to reach for the treat. Reward him at this point along with your praise to reinforce the response. If your pooch loves his toys and carries them everywhere by holding them in the mouth, you can hide the toys at the secret corners of the room. But, don’t hide them far from his site or totally out of reach. Let him hunt for his toys by saying ‘Find’ or ‘Toy.’ When he succeeds in locating or retrieving the toy, treat him and praise him. Just beware of not praising him when he bring toys and other stuff in his mouth without your command. It will tone down his interest with time. Have fun with your Cocker Spaniel by staying consistent with the rewards and punishments. You can teach him further jumping, staying and following tricks after he learns these seven basic tricks. James Shore is a part-time dog-trainer and dog behavior consultant. He is a professional freelancer with years of experience in dog training. He is interested in finding out fun ways to handle dog behaviors, specifically, Labradors to help dog-owners enjoy their companions at all times. His pet-passion led him to develop Labrador Training HQ to help people.